A beautiful story is told about a disciple of Gautam Buddha. He was a young monk, very healthy, very beautiful, very cultured. He had come – just like Gautam Buddha – from a royal family, renouncing the kingdom. In the West, just as Cleopatra is thought to be the most beautiful woman in the whole past of humanity, in the East, a parallel woman to Cleopatra is Amrapali. She was a contemporary of Gautam Buddha. She was so beautiful that there were always golden chariots standing at the gate of her palace. Even great kings had to wait to meet her. She was only a prostitute, but she had become so rich she could purchase kingdoms. But deep down, she suffered. In that beautiful body there was also a beautiful soul which hankered for love. When a man comes to buy the body of a woman, she may pretend great love for him because he has paid for it, but deep down she hates him because he is using her as a thing, as an object – purchasable; he is not respecting her as a human being. And the greatest hurt and wound that can happen to anybody is when you are treated as a dead thing and your integrity, your individuality, is humiliated. This young monk went into the city to beg. Not knowing, he passed by so many chariots of gold and beautiful horses he was amazed: “Who lives in this palace?” As he looked upward, Amrapali was looking from the window, and for the first time love arose in her heart – for the simple reason that the moment the young monk saw Amrapali, he bowed down to her with deep respect. Such beauty has to be respected, not to be used. It is a great gift of existence to be appreciated – but not to be humiliated. She said, “Forget all about those kings – I hate them! But don’t say no to my invitation, because for the first time I have given an invitation. I have been invited thousands of times by kings and emperors, but I have never invited anybody. Don’t hurt me, this is my very first invitation. Have your food with me.” The monk agreed. She said, “Nothing has to be done. The season of rains is going to start within two, three days…” And it was the rule of Buddhist monks that in the rainy season they stayed in one place for four months; for eight months of the year they were continually moving from one place to another, but for the four months of the rains it was absolutely necessary for them to stay somewhere where they could get a shelter. He told Buddha everything. He also said that Amrapali… He did not use the word prostitute – that is a judgment. You have already condemned a woman by the very word, condemned her that she sells her body, that she sells her love, that her love is a commodity, if you have money you can purchase it. There was great silence among the ten thousand monks. 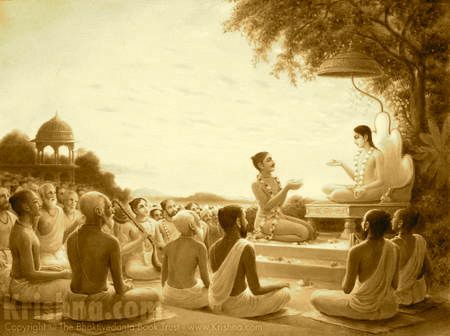 Nobody had thought that Gautam Buddha would say, “You are allowed to stay with Amrapali.” They could not believe their own ears; what were they hearing? A monk who has renounced the world is going to stay for four months in the house of a prostitute? She fell at Gautam Buddha’s feet. This was even a bigger shock to those ten thousand people! And Buddha said to them, “I know these four months have been very long and you have suffered much. Day in and day out your mind was thinking only about what was happening between the monk and Amrapali, that he must have fallen in love with the woman and gone down the drain; four months will pass, the rains will stop, but he will not return – with what face? 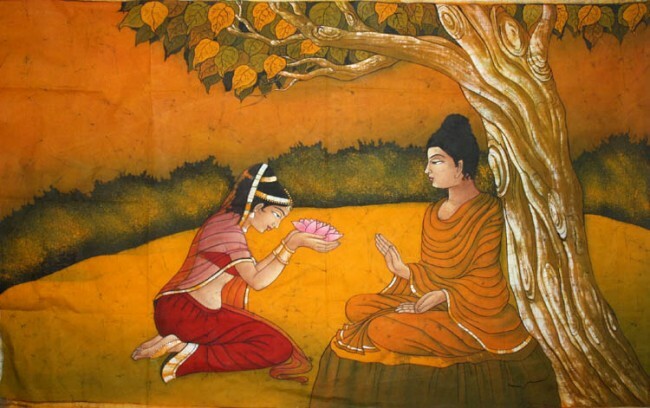 Her name, Amrapali, means… She had the biggest mango grove, perhaps one hundred square miles, and she presented it to Gautam Buddha – it was the most beautiful place. And she presented her palace, all her immense resources, for the spread of the message of Buddha. So the awakened has no judgments of what is good and what is bad, and the child has no judgment because he cannot make the distinction – he has no experience. In this sense it is true that every awakened person becomes a child again – not ignorant, but innocent. But every old person is not an awakened being. It should be so; if life has been lived rightly – with alertness, with joy, with silence, with understanding – you not only grow old, you also grow up. And these are two different processes. Everybody grows old, but not everybody grows up. In a certain town a very beautiful young lady suddenly arrived out of the blue. Nobody knew from where she came; her whereabouts were completely unknown. But she was so beautiful, so enchantingly beautiful, that nobody even thought about where she had come from. People gathered together, the whole town gathered – and all the young men almost three hundred young men, wanted to get married to the woman. The woman said, “Look, I am one and you are three hundred. I can be married only to one, so you do one thing. I will come again tomorrow; I give you twenty-four hours. If one of you can repeat Buddha’s Lotus Sutra, I will marry him. All the young men rushed to their homes; they didn’t eat, they didn’t sleep, they recited the sutra the whole night, they tried to cram it in. Ten succeeded. The next morning the woman came and those ten people offered to recite. The woman listened. They had succeeded. There was no time at all – only one night – and the Lotus Sutra is a long sutra. But when you are infatuated you can do anything. They rushed back, they tried hard. The next day three persons appeared. They had understood the meaning. The woman went in and he chitchatted a little with the parents. Then the parents said, “You go. She must be waiting for you. This is her room.” They showed him. He went, he opened the door, but there was nobody there. It was an empty room. But there was a door entering into the garden. So he looked – maybe she has gone into the garden. Yes, she must have gone because on the path there were footprints. So he followed the footprints. He walked almost a mile. The garden ended and now he was standing on the bank of a beautiful river – but the woman was not there. The footprints also disappeared. There were only two shoes, golden shoes, belonging to the woman. Now he was puzzled. What has happened? He looked back – there was no garden, no house, no parents, nothing. All had disappeared. He looked again. The shoes were gone, the river was gone. All that there was emptiness – and a great laughter. And he laughed too. He got married. This is a beautiful Buddhist story. He got married to emptiness, got married to nothingness. This is the marriage for which all the great saints have been searching. This is the moment when you become a bride of Christ or a gopi of Krishna. But everything disappears – the path, the garden, the house, the woman, even the footprints. Everything disappears. There is just a laughter, a laughter that arises from the very belly of the universe. But when it happens for the first time, if you have not been led slowly, slowly, you will go mad. This Buddhist story says that he was led slowly, slowly. The woman was the master. The woman is symbolic of the master. She led him slowly, slowly. First, recite the sutra; second, understand intellectually; third, give a sign that you have lived it. These are the three stages. Then she led him into nothingness. The master leads you slowly, slowly; makes you by and by ready.